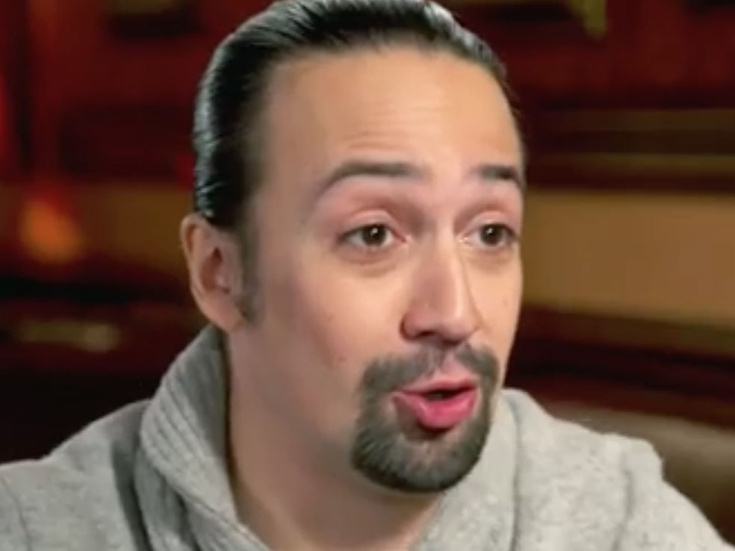 Guess Which Hamilton Song Lin-Manuel Miranda Had to 'Let Go' After Frozen Became a Smash Hit? Hamilton mastermind Lin-Manuel Miranda, Frozen creators Robert Lopez and Kristen Anderson-Lopez and Wicked music man Stephen Schwartz recently gathered around the piano with legendary composer Alan Menken. The reason for uniting the musical team of our wildest dreams? Menken's Beauty and the Beast turns 25 this year; "Broadway's Mount Rushmore" gathered together on Good Morning America to discuss the Disney classic's effect on musical theater as well as their individual roles in reinventing the Great White Way. Miranda revealed that Frozen's incredibly popular "Let It Go" affected Hamilton. "I had a song in Hamilton called 'Let It Go,' and then these guys wrote another song called 'Let It Go' and I was like 'Oh...I have to let that go,'" Miranda said. Watch the musical masterminds gab below!